Another standby recipe we’ve come to rely upon is an adaptation of Flo’s Chili. 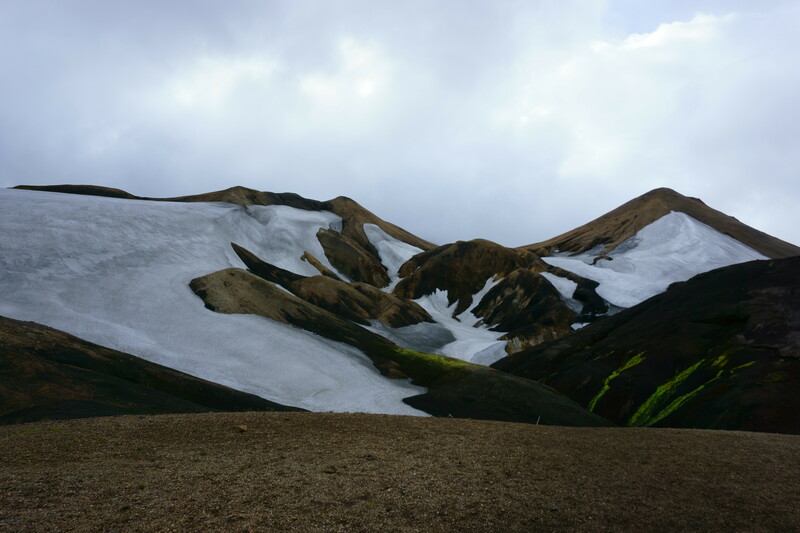 We’ve brought it on a bunch of trips, but it wasn’t until we ate it in a sleet storm on the top of an Icelandic mountain that we discovered its true, restorative magic! 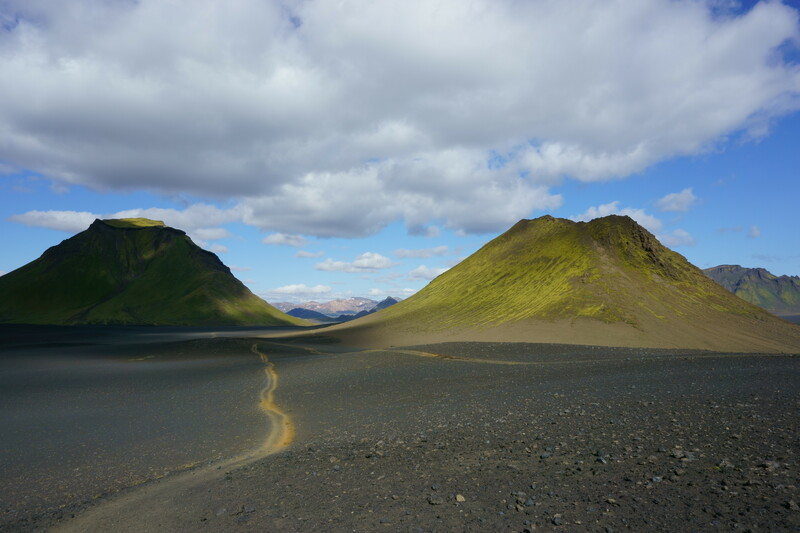 In 2014 we took advantage of Icelandair’s new cheap flights from Canada and we hiked the Laugavegur trail in southern Iceland. 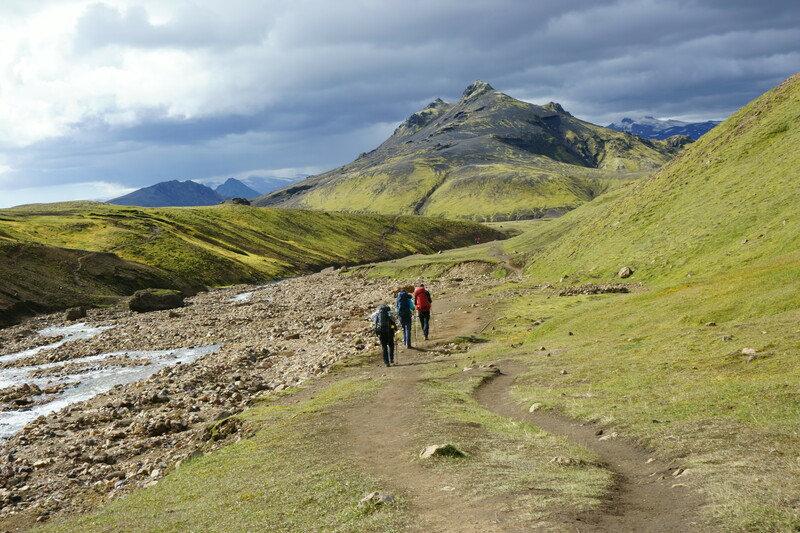 This was the first time any of us had done international trekking and between airline’s rules and customs regulations we had to plan our meals carefully. 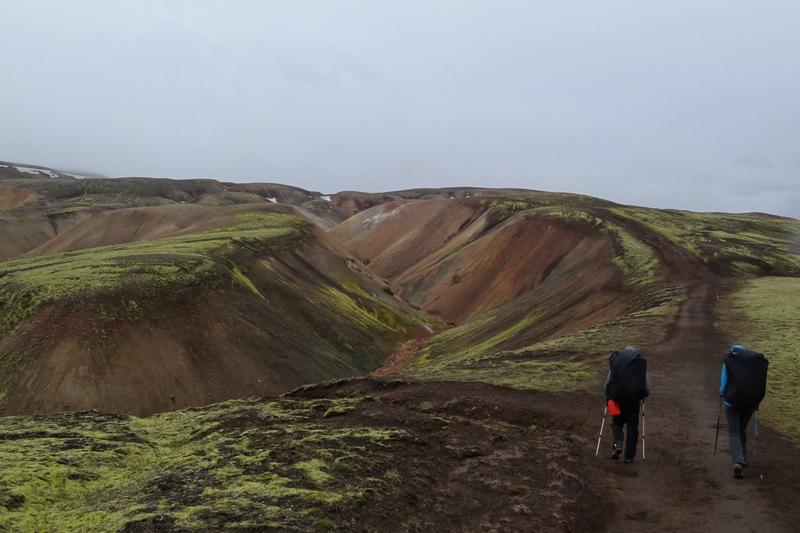 By the time we arrived at the first campground, Hrafntinnusker, we were wet, cold and quickly approaching hypothermia. 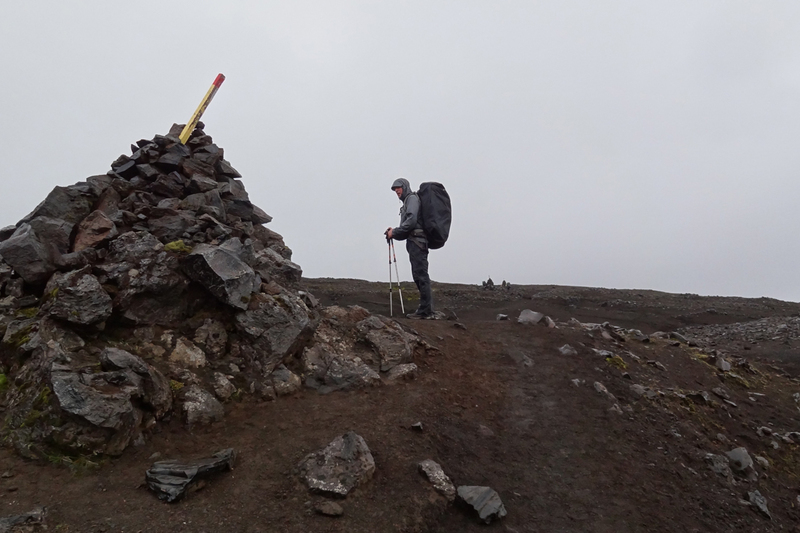 We had hiked in rain, sleet and gale force winds that blew volcanic dust into every orifice. We managed to set up our tents into the pre-made rock shelters (apparently these storms are not uncommon at this site!) Our next priority was to warm up. Noel, Courtney and I were borderline delirious and having serious doubts about our safety and decision to tackle this trail. Kurt however diligently went to work rehydrating (thankful for the lack of large predators in Iceland, which means you can cook in your tent!) Today when we tell this story, we like to say that Kurt saved our lives that night with this delicious chili. We barely slept that night listening to the rain and wind sweep across the mountain in what felt like waves. 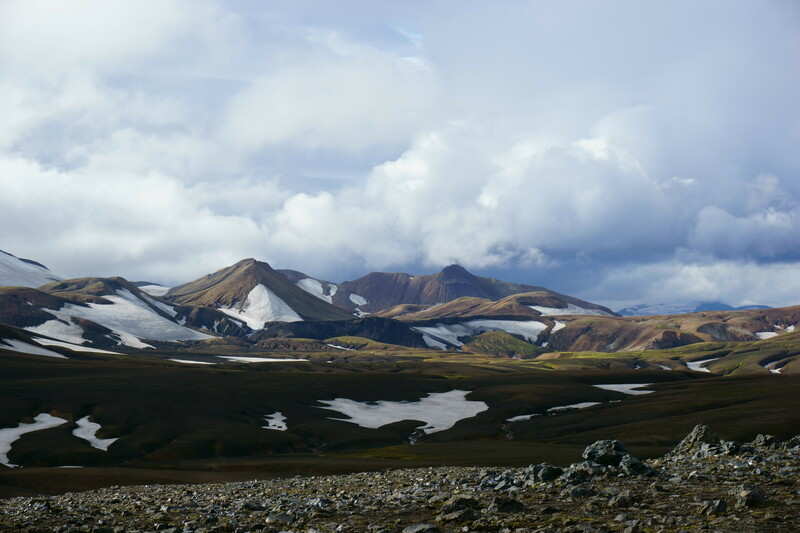 The storm did ultimately pass, and the next day as we crested the ridge overlooking our next campsite at Alftavatn the sun came out! 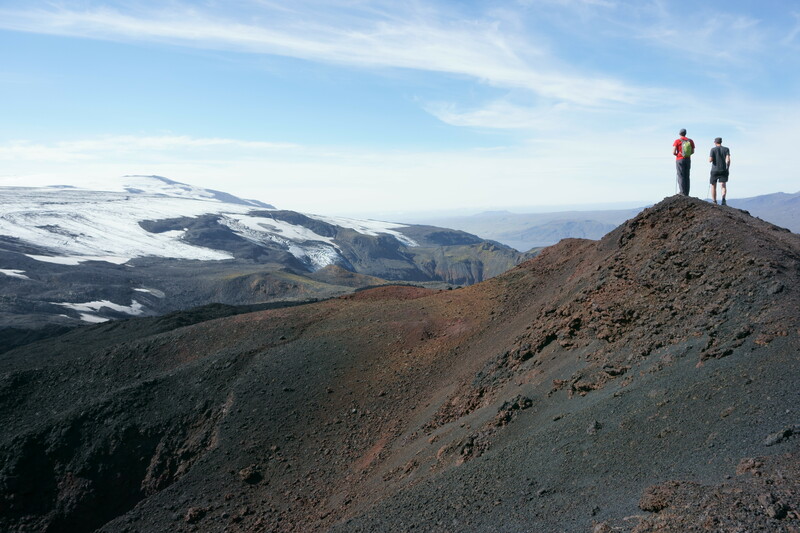 The spectacular view silenced any doubts and we sat in awe of the magnificent landscape for quite some time. This recipe takes a little bit more effort before the trip, but you’ll thank yourself when you take your first bites at some backcountry shelter. You’ll be sure to garner many looks of intense jealousy and envy from other campers as they heat up their ramen noodles for the third night in a row. Serves: Many. We usually make a big batch, then measure out 3-4 cup portions to dehydrate and package depending on how many people we will be hiking with. Brown the ground beef with the onions and pepper. Add the rest of the ingredients and bring to a boil. Simmer for 1 hour. We usually continue to simmer until most of the water has boiled off. 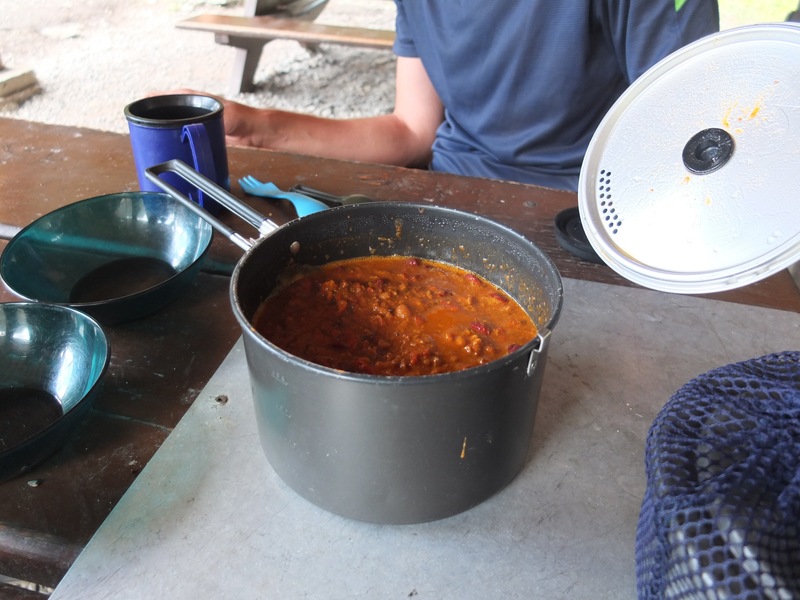 Once the chili has reached a paste like consistency, measure out portions that you will be able to eat on the trail (we usually bring 1-1.5 cups each). Place the measured out portions onto parchment paper and dehydrate at 135F for 8-10 hours. Once dry, break it into smaller pieces and store in ziplock bags or vacuum seal. (We’ve had bad luck with vacuum seals being pierced by sharp edges.) The dried chili can be stored at room temperature for up to one month, or in the fridge or freezer for much longer. Kurt prefers to boil water and then add the dehydrated chili to the already heated water. Take this off the heat and let it sit for 10 minutes to rehydrate. Give it a little heat and bring it up to a simmer, and again take it off the heat to rehydrate another 10 minutes. Continue this pattern until the beans are rehydrated. We have found that the kidney beans take the longest to rehydrate, so test them as you go. Serve with salt, pepper, chili flakes and grated cheese. Even better if you have brought in a wedge of focaccia or extra tortilla to mop up all the goodness.